Please send your referral via post or email. 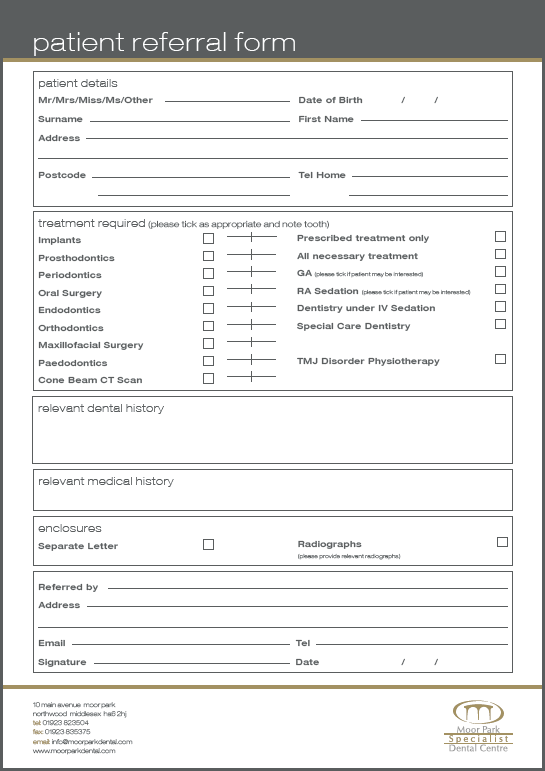 You can complete the referral form below or alternatively, please send us a letter with any relevant details. If you have any relevant xrays that can be included, digital xrays can be emailed or otherwise sent in the post. Any x-rays will be returned to you once not required. Once we have received the referral we will aim to contact the patient on the same day. We will inform you if the patient decides to book an appointment.